Welcome to MowerGang.com. 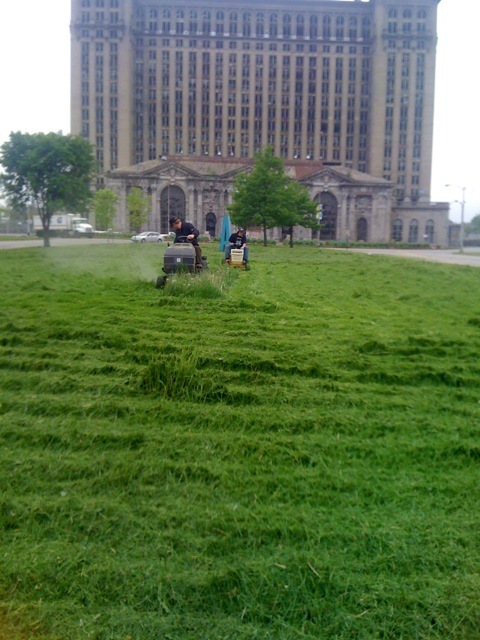 The home of Detroit’s renegade landscapers. 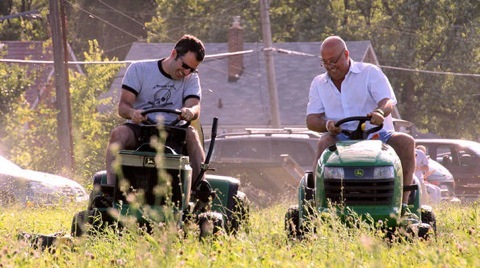 Join the Mower Gang: It’s easy, just find out when we are going to be mowing and show up. 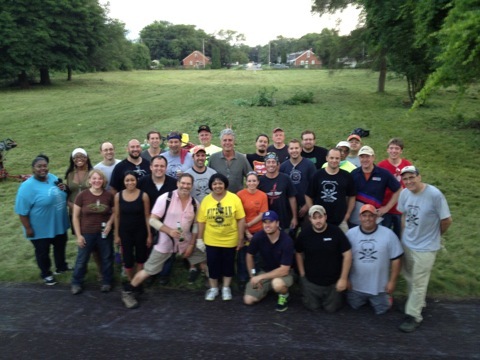 Bring a mower, trimmer, lawn tractor or just yourself and you will instantly become a member of the Mower Gang. It is fun to help out. 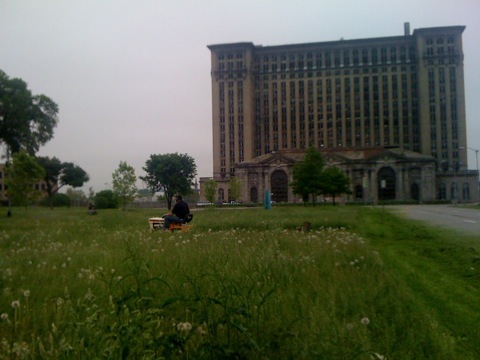 What We Do: The Mower Gang has fun while mowing the abandoned parks and playgrounds of Detroit. 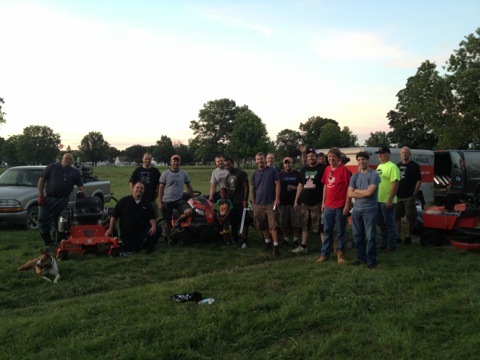 Mower Gang events are one-part biker rally and one-part cleanup. They are fun and carefree. 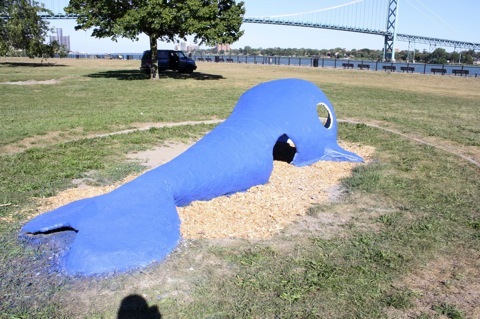 Our Focus: is on playgrounds that are already pre-existing but in a state of disrepair. That way we can do the most benefit with our skills and equipment. 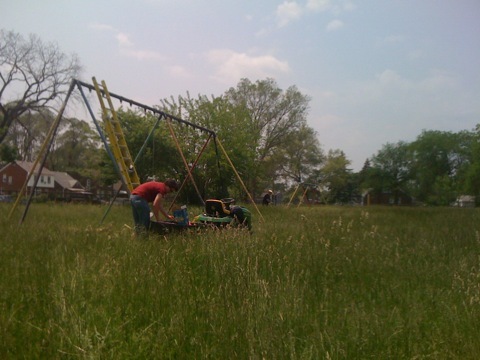 We like to help kids, because 6 year olds can’t mow their own park. How To Get Involved: Facebook. Everything is planned, talked about, and organized on Facebook. The Mower Gang has no money and no employees so we organize everything on our Facebook page. It is here. The Mower Gang’s Facebook Page. 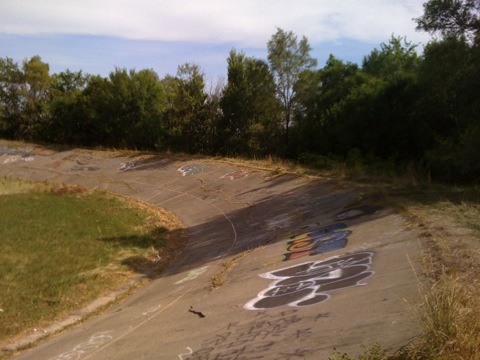 Here is the Dorais Velodrome before the Mower Gang Arrived in August of 2010. 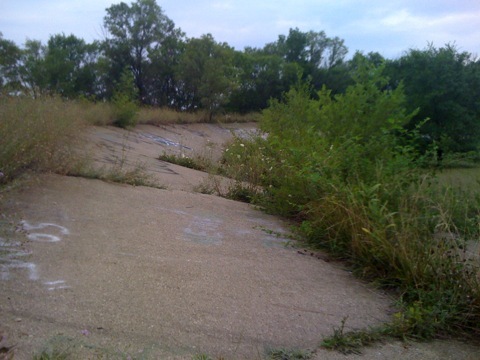 Here is the Dorais Velodrome after we cleared it. We cleared the entire track. 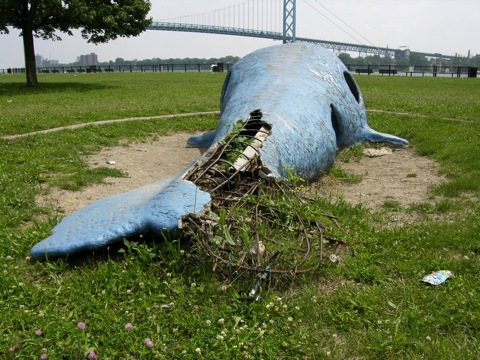 Here is a playground when the Mower Gang arrived. Here it is done. New swings and a fresh mow. Pow! Here is Roosevelt park with grass that was waist deep. Here is Roosevelt park as we are finishing (note, we had no effect on the giant building). Here is Riverside Park before we arrived. 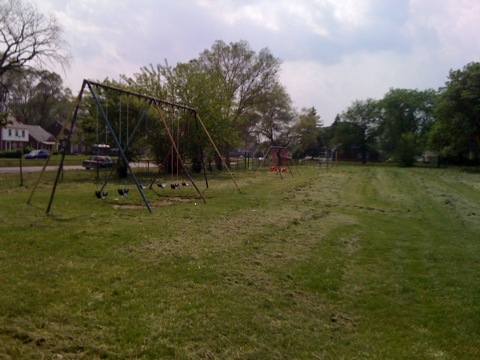 Here is Riverside Park after the Mower Gang worked it over. The Mower Gang is Sponsored by Craftsman. They donated a bunch of tools and equipment to our group to help us out. We are also sponsored by Vibrators.com because Tom, the mower gang founder (leader?) owns Vibrators.com. If you want to be our sponsor, see this page.